The CS:GO tournament in Belgian city Charleoi concluded on Sunday. 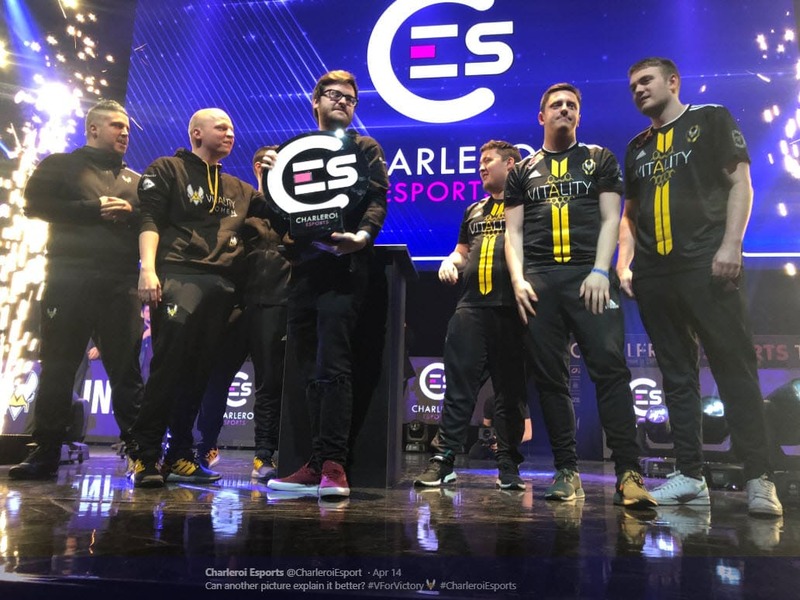 In the end, Team Vitality won Charleroi Esports 2019 after defeating Sprout 2-0 in the Grand Final. Charleroi Esports 2019 featured some Mid Tier teams such as Team Vitality, G2 Esports, and Team LDLC. Also, there was the legendary Polish team, Virtus.pro as well as a lately formed team GamerLegion. Charleroi Esports had two Groups with four teams. Initial and Winner matches were Best of 1, and Elimination and Decider matches were Best of 3. The best two teams in the group advanced further to single-elimination Play-off with Bo3 matches. The event took place in the RTL Spiroudome venue and had a 100,000 Euros prize pool. Is this the worst opening ceremony ever? The event in Belgium didn’t start in the best possible manner. On the contrary, the opening ceremony went pretty bad due to playback problems during opening ceremony song. Namely, a domestic singer experienced some playback issues as it was kind of lagging. Therefore, she asked a DJ to stop the music and eventually fix the track. However, instead of doing so, the DJ tried to fix things on the fly but failed. Nevertheless, the signer didn’t like what DJ did, so she decided to leave a stage. It was a quite embarrassing turn of events that have never happened before in CS:GO opening ceremonies (or any esports event for that matter). The form of the French team, Vitality, is gradually becoming better. Although they didn’t come to Charleroi as the first favorite, they showed some great performance there. They topped their group after besting FrostFire and Sprout on Cache and Mirage with the identical result – 16-6. So, they quickly secured a spot in Play-off. There they met another French team, G2 Esports. Team Vitality won the first map (Nuke) with minimal advantage. Afterward, teams moved to Overpass. Vitality and G2 split the first 30 rounds, so the game went into Overtime. There, shox from G2 managed to pull out an amazing 1v3 clutch in the last round to secure the second map. The final map was Cache. Vitality entered the final map in great manner clinching the first half with scoreline 13-2. In the rest of the match, G2 won just another three rounds which were insufficient for them to make a comeback. As a result, Team Vitality made it to the Grand Final where they met Team Sprout. In the Grand Final of Charleroi Esports 2019, we saw a great comeback from Team Vitality on Inferno. They were 11-4 down in the first half. Nevertheless, they conceded only one round up to the end of the map, so the final score was 16-12. The second map was Cache. The French team again dominated their opponents on the map that Valve removed from Active Duty Map Pool. The ending scoreline was 16-6 in Team Vitality’s favor. 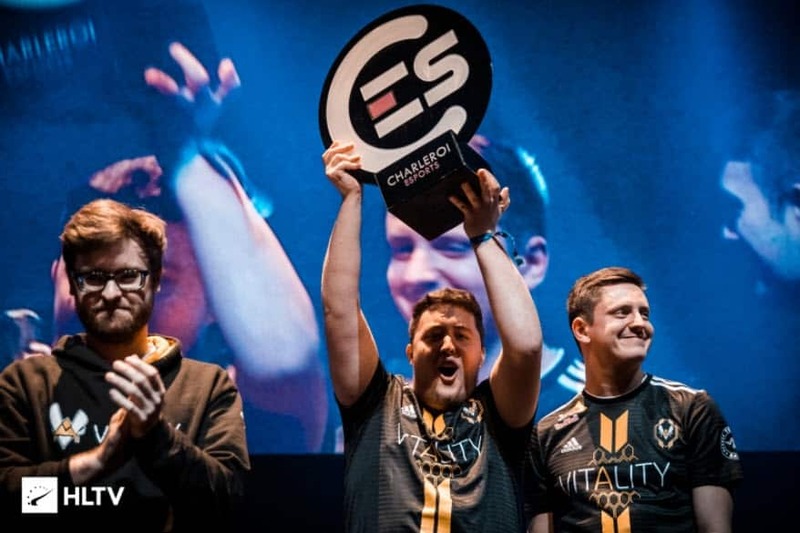 So, Team Vitality won Charleroi Esports 2019 and 50,000 Euros. This is their second trophy this season after they won WePlay! Lock and Load Online event. Also, this is proof of their good recent form.